Skin rejuvenation involves treating variety of skin disorder such as wrinkles, dark circles, facial lines, pigmentation, scars, stretch marks, acne, dry and itchy skin, and age spots. These skin problems are characterized by the thin and dry skin, loss of skin elasticity, loss of subcutaneous fat tissue, and reduction in production of sebum. There are various device based methods of skin rejuvenation such as microdermabrasio, laser-based methods, intense pulsed light photo rejuvenation, sub surfacing non ablative lasers, fractional resurfacing, and radiofrequency devices. These methods can be used alone or in combination, according intensity of the skin problem. Skin rejuvenation devices offers non-surgical treatment option for curing variety of skin problem mentioned earlier. They provide visible results in minimum time and less need for invasive technique. Increasing awareness about common skin problems, preference to improve visual / aesthetic appearance, and decreasing device cost is resulting into wide adoption of the skin rejuvenation devices to perform skin rejuvenation related surgeries. The global skin rejuvenation devices market size was valued at US$ 1,478 million in 2017, and is expected to witness a CAGR of 9.3% over the forecast period (2018 – 2026). Increasing prevalence of the skin related problems such as wrinkles, acne, scar, sun damaged skin, stretch marks, and hyperpigmentation is resulting in to wide utilization of several device-based skin rejuvenation procedures, which in turn is expected to drive growth of the skin rejuvenation device market. According to the report by International Society of Aesthetic Plastic Surgery titled Global Aesthetic Survey Results published in the 2017, total of 2,545,922 skin rejuvenation procedures were conducted worldwide. According to 2017, Plastic Surgery Statistics Report by American Society for Plastic Surgeons, around 667,561 and 656,781 intense pulsed light treatment for skin resurfacing procedures in the U.S. were conducted in 2017 and 2016 respectively. According to same source, around 740,287 microdermabrasion procedures were conducted in 2017. Such high number of skin rejuvenation procedures are expected to drive the skin rejuvenation devices market growth. However, lack of reimbursement for skin rejuvenation procedures by insurance companies is expected to limit the utilization of the procedure, in turn restraining growth of the market. According to the American Society of Plastic Surgeons (ASPS), each session of the non-ablative laser treatments cost around US$ 1,031 per session, while ablative treatments cost around US$ 2,330 per session. With increase in old age population need for skin rejuvenation process would be increasing as per analysis by Coherent Market Insights. According to world population prospects report published in 2017, global population is moving toward higher age group, In 2017, an estimated 962 million people were aged 60 or over in the world, comprising 13% of the global population, which would reach 1.3 billion by 2025, by growing at a rate of about 3% per year. Older population generally face decreasing skin fat, wrinkles, and other skin related problems, which may lead to higher number of skin rejuvenation procedures benefitting skin rejuvenation device market. 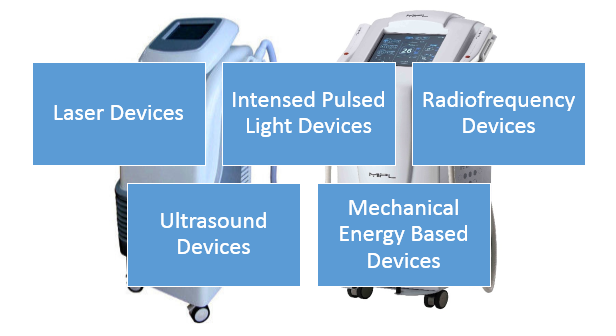 Key players operating in the skin rejuvenation devices market include Cutera Inc., Hologic, Inc., Lutronic Corporation, Syneron Medical Ltd., Lumenis Ltd., Strata Skin Sciences, Inc., BISON MEDICAL, Solta Medical Inc., Lynton Lasers Ltd., and EL.En. S.p.A., Sciton, Inc., Fotona D.O.O. and Alma Lasers, Ltd. Skin rejuvenation devices are used to treat the skin disorders such as wrinkles, acne marks, sun spots, dry itchy skin, hyperpigmentation, and scars. Several methods and devices are used for skin rejuvenation such as laser based devices (CO2, ND: YAG etc. ), photon based devices, radiofrequency devices and mechanical energy based devices. This devices are minimally invasive techniques to rejuvenate the skin and make skin appear younger. Skin rejuvenating device are highly utilized with increased preference for minimally invasive aesthetic procedures that cures skin problems. According to the report by International Society of Aesthetic Plastic Surgery titled Global Aesthetic Survey Results published in the 2017, around 14% rise was reported in skin rejuvenation procedures worldwide in 2016. According to same source, around 2,545,922 facial rejuvenation surgeries were conducted worldwide in 2016. Furthermore, increased prevalence of skin related disorders and rise in old age population is expected to propel demand for the skin rejuvenation devices. According to a study published in the British Journal of Dermatology, in 2015, around 9.4% of global population was estimated to be affected by acne. Furthermore, Photon-based therapy and lased-based therapy are emerging as new trend in acne scars treatment, which would contribute to market growth of the skin rejuvenation devices market. Key companies covered as a part of this study include Cutera Inc., Hologic, Inc., Lutronic Corporation, Syneron Medical Ltd., Lumenis Ltd., Strata Skin Sciences, Inc., BISON MEDICAL, Solta Medical Inc., Lynton Lasers Ltd., EL.En. 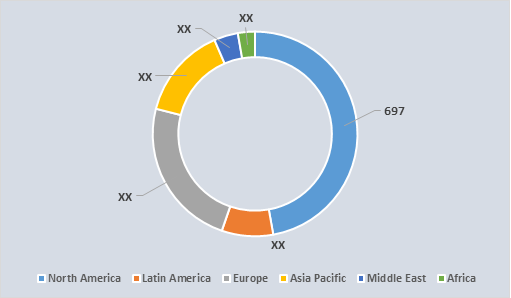 S.p.A., Sciton, Inc., and Alma Lasers, Ltd.
*Browse 22 market data tables and 18 figures on "Skin Rejuvenation Devices Market - Global forecast to 2026”.